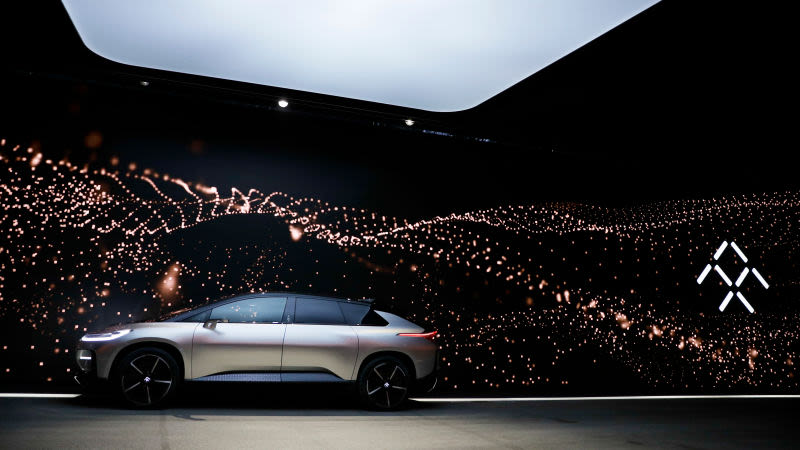 Late last month, the seemingly incapable-of-escaping-trouble electric car startup Faraday Future filed a lawsuit against a new rival helmed by its former chief financial officer, Stefan Krause. This week, Krause’s company fired back, and, consequently, revealed just how much top FF execs earned while the company circled the drain. Faraday’s lawsuit spells out a number of steamy allegations, namely that Krause—along with other FF execs—solicited several employees at the startup to join him at a new venture, tentatively named EVelozcity. The suit also cites former chief former chief technology officer, Ulrich Kranz, as being part of the allege scheme. Kranz—who joined Krause at EVelozcity—resigned from Faraday in October, one day after Krause’s departure. EVelozcity, for its part, roundly denied the claims, saying that it doesn’t have, nor does it need, “any technology from Faraday Future.” The Krause-led startup called the accusations “false and inflammatory” and it planned to respond to what it called “this desperate lawsuit” in short order. On Tuesday, EVelozcity followed through and asked a federal judge to send the case to arbitration. Part of the reason is, Faraday already has arbitration proceedings ongoing against five former employees named in its lawsuit. “FF’s Complaint is largely a copy of its arbitration demand against the individual employees and is simply a restyled version of the breach of contract claim asserted against the Former Employees,” EVelozcity wrote. As the startup put it, Faraday is only using the federal lawsuit as a way to shine the light on what appears to be unseemly—and, according to EVelozcity, untrue—allegations. “FF cannot have it both ways—on the one hand reaping the benefits of arbitration due to the agreements with the Former Employees; but on the other, using this Court to make a public spectacle of its grievances against EVelozcity,” the court filing says. To make its point, EVelozcity filed the arbitration complaints against each employee in federal court, thereby revealing exactly how much each executive made. Turns out, it paid well to work at Faraday, which spent most of the last two years teetering on the edge of bankruptcy. In particular, Faraday names Richard Kim (former design exec), Sohel Merchant (former senior director of vehicle packaging), Bill Strickland (ex-vehicle line engineer), and Christoph Kuttner (former director of interior and exterior trim). FF was founded in 2014. In 2015, FF hired Respondents Kim, Merchant, Strickland, and Kuttner into highly paid senior executive positions pursuant to written Agreements above. Each of these four Respondents received salaries over $200,000, signing bonuses of approximately $50,000, and generous grants of stock options in FF and other incentives. Of course, times were good early on, so it’s not entirely surprising this crew netted healthy six-figure salaries. But by 2017, when Krause came aboard, Faraday was spiraling. Nevertheless, Krause received a nice payday from the outset. Krause was very highly compensated at FF, receiving a $1,000,000 annual salary, a $300,000 signing bonus, and a generous grant of stock options that were to vest over time. Soon after hiring Krause as CFO, in or about late June 2017, FF hired Kranz as its CTO. Like Krause, Kranz was very highly compensated at FF, receiving a $1,000,000 annual salary, a $300,000 signing bonus, a generous award of stock options, and other benefits and incentives. Faraday says it now has about $1.5 billion in new funding from an investor, and it hopes to get its flagship car, the FF 91, into a customer’s hand sometime this year. But it’s clearly going to also spend a lot on legal proceedings.